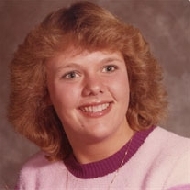 Mary Ann Howley obituary. Carnes Funeral Home. Howley, Mary Ann, Baptized into the Hope of Christ's Resurrection, Friday, July 14, 2017. Beloved daughter of Joyce Ann and the late Patrick Joseph Howley, Jr. Loving sister of Pat "Potz" (Reginia) Howley. Dear aunt of Megan, Caitlin and Patrick Howley IV. Dear cousin and friend. Mary Ann was a Marine Science Administrator at Texas A&M-Galveston, for over 20 years. Mary's services will be at Memorial Mass, Thursday, July 27, 5 p.m. at St. Rose Philippine Duchesne Catholic Church, 1210 Paddock Drive, Florissant, MO 63033 through Hutchens Mortuary. In lieu of flowers, memorial contributions may be made to the Galveston Island Humane Society, 6814 Broadway St, Galveston, TX 77554 or at http://www.galvestonhumane.org/. Family and friends may share memories and express condolences at www.hutchensmortuary.com and www.carnesfuneralhome.com. The family wishes to thank Texas A&M- Galveston for their love, help, and support for Mary throughout her career.